Made in the USA and certified by CertiPur, NRGel responds and adjusts to your body to provide optimal temperature control and invigorating supportive comfort. A unique combination of conformance and resilience, NRGel delivers a deeper, more restorative sleep so you feel refreshed and exhilarated when you awaken. In addition, NRGel maintains its resilience with changes in temperature. If it's cold or hot - NRGel feels the same, unlike many memory foam products that get softer with heat and much firmer with cold air. The ComforPedic Loft mattress features NRGel in the top layer, next to your body, so you get the maximum benefit. The stretchy knit fabric adds to the resilience to give you a wonderful night's sleep, free from aches and pains that affect your sleep! 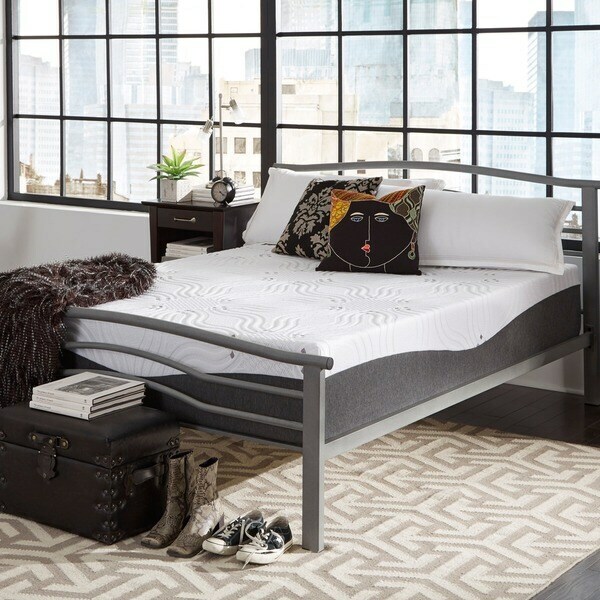 This mattress has a good amount of support and softness so that you can completely relax and seem comfortably. It might not be that good for a side sleeper because it is more firm than expected (it is listed as plush). The best mattress I have ever bought. Love it!
" Which seems to be for a side sleeper a medium or a plush? Which one also is softer a medium or a plush? "